Produced For – Pacific West Productions Ltd.
Phonographic Copyright (p) – CBS Records Canada Ltd. Copyright (c) – CBS Records Canada Ltd. Published By – Blackwood Music (Canada) Ltd. Mastered At – CBS Records Canada Ltd.
"Mixed with the use of the Aphex Aural Exciter"
℗1978 CBS Records Canada Ltd.
©1978 CBS Records Canada Ltd. I just picked this up today from the $1 bin. Did not really think it was going to be that good, but for $1, to listen to a tune called Computer Samba while having a beer! why not..?? 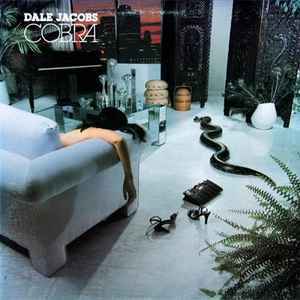 I was blown away from track #1 Cobra. Then I started reading the notes on the Lp jacket, this guy a a synth wizard who loves funk! you can tell that he did lot of late 70's cop shows soundtrack, the breaks, the hooks, ..it was a great buy. If you like jazz, funk and synth sounds, this record is for you. Hopefully my review was helpful. Superior synthy jazz-funk LP from Canada. Easy to assume it's a dreadful heavy metal album from that cover! UK LP has 'Freedom' instead of 'Hanglider' for some reason.